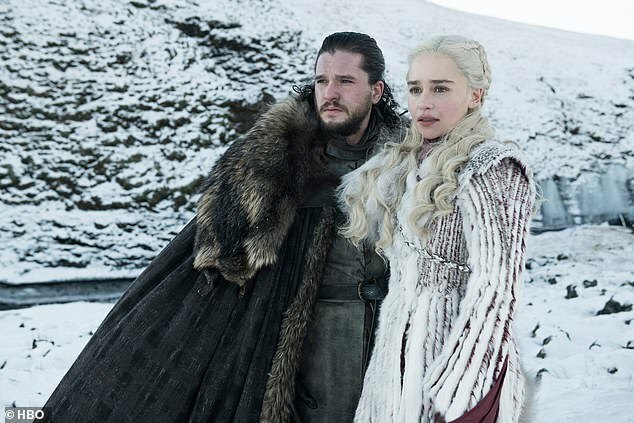 Foxtel has come under fire from outraged Game of Thrones fans unable to watch the highly anticipated first episode of the eighth and final series. Monday’s return of the popular HBO series return sparked a social media uproar due to streaming and buffering issues for online viewers, despite Foxtel’s claims most customers watched the show uninterrupted. 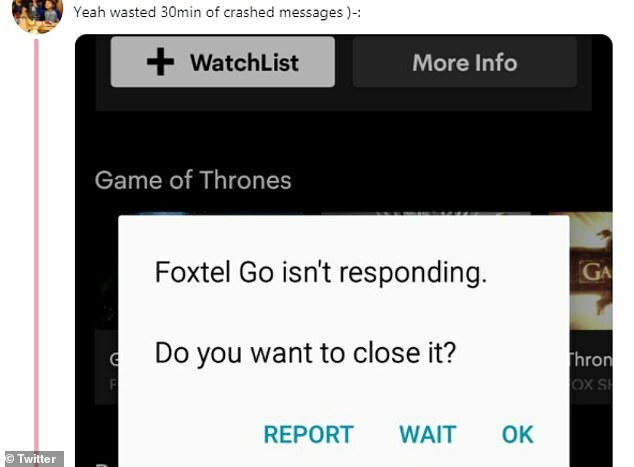 ‘What trying to watch Game of Thrones legally in Australia is like,’ the Reddit post was captioned. The photo was inundated with comments from disappointed viewers experiencing the same issue. ‘I gave up and pirated it,’ one wrote. 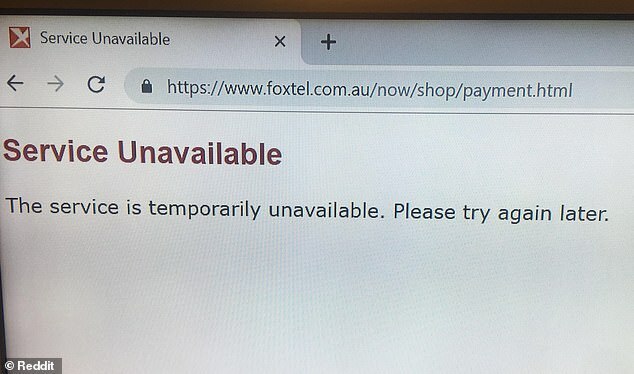 Many other fed up fans took to Foxtel’s Twitter account to vent their frustration. ‘Please fix your streaming services, you should have known the network traffic demand for this series, especially when you are advertising it so hard yourselves. There is no excuses for this. Your silence is very deafening too,’ one fan wrote. Foxtel customers had similar streaming issues when the first episode of the seventh series premiered in 2017. ‘This is so frustrating this happened last season as well. You guys are so incompetent,’ one woman tweeted on Monday night. ‘Perfect connection for me, good episode,’ a satisfied customer tweeted. A Foxtel spokesman told Daily Mail Australia hundreds of thousands of viewers enjoyed the highly anticipated series return uninterrupted. ‘The number of social posts was extremely small and related to a cable outage on the NBN/ Telstra network that was beyond Foxtel’s control as well as customers’ access to MyAccount, our online self-management portal, which had less than 100 social posts related to customers being timed out due to a much higher than normal volume of customers accessing it,’ he said. Earlier on Monday, fans of the show were warned they faced the prospect of jail if they were caught downloading the highly anticipated final season. Game of Thrones is regarded as the most pirated show on television with 1.77million Australians illegally downloading the seventh season in 2017.